40 blocks. We walked 40 blocks to get to the MET only to find it closed. It's closed three days of the year: Thanksgiving, Christmas Day, and New Years Day. Just our luck. At least we got pictures, right? The campus is breathtaking. It was more than I even imagined. Even with the greens covered with the snow and foggy skies outside, it was still absolutely gorgeous. 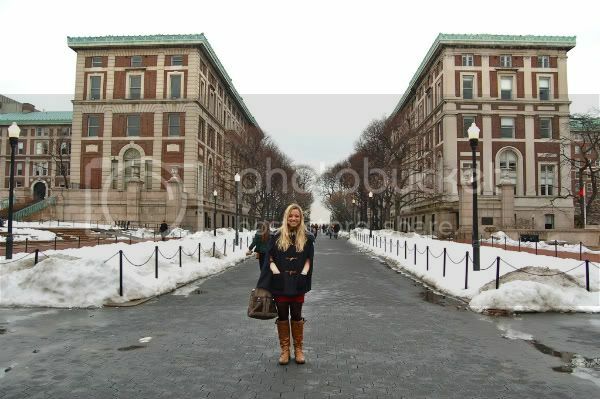 And once you enter the campus gates, you feel as though you've entered another realm far beyond the island of Manhattan--which I find to be a major perk (and something that you won't at NYU). 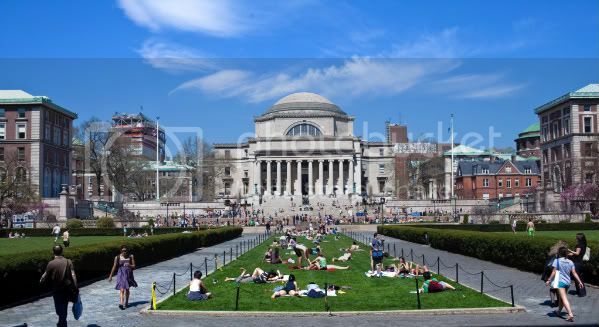 Though it has a reputation of being in a not-so-good neighborhood, I found that Morningside Heights was quite quaint and the perfect atmosphere for a student. Austin may have trailer cupcake shops, hills, and a capital building, but there's nothing that compares to this snowy campus that looks right out of a fairytale. Here's a look at what it would look like in summer and spring months. Still equally as gorg. We were heading to a subway station to make our way back home (we started calling our hotel home to fool ourselves into believing our fantasy that we actually lived there), but we stumbled upon this precious French patisserie and couldn't pass it up. 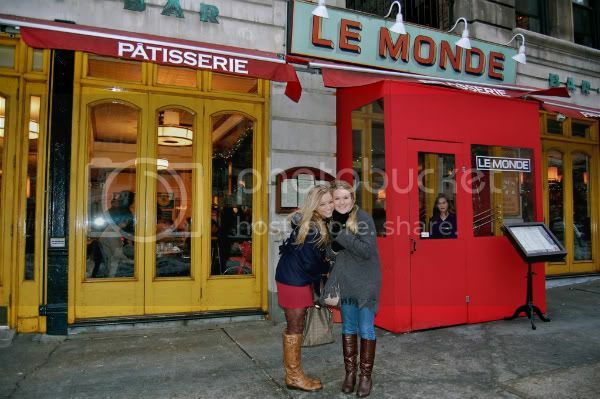 If you look closely, you'll see that Liz especially was ready for a stop at Le Monde! 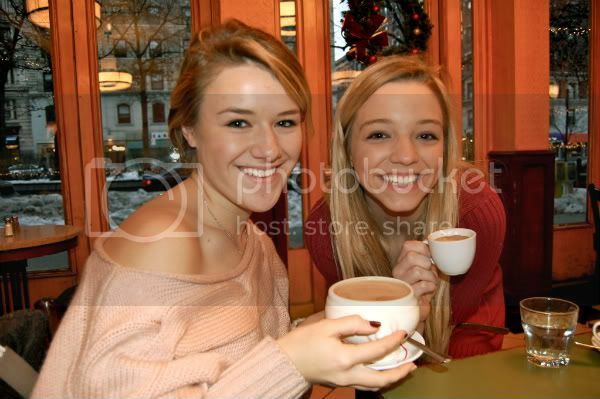 Lexi and I ordered coffees. I didn't realize that my cafe macchiato would be 1/10 of the size of her cafe mocha. Hers was served in a bowl while mine was in a dainty glass that could maybe hold an ice cube. That rocked. Those two sips were good though? 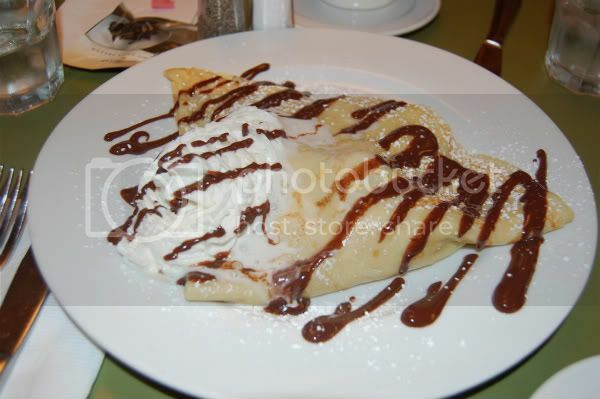 We also ordered this banana chocolate crepe that was to die for. When our four forks attacked, it was gone in an instant. And so there we were. Late Saturday afternoon. In New York. One more day in the big city, so we dedicated this evening as a girl's night out. And there will be more to come on this GNO on the next (and I'm thinking final) post on NYC.